The Dodge North American based automaker has finally launched the special 2015 Dodge Charger Pursuit vehicle, which will stand up and fight against crime in the most crowded cities all over US. The Dodge automaker has tried to come out with a sibling that would match the performances of both the Challenger SRT Hellcat and the Charger SRT Hellcat, and the result was this beast machine serving the public. As one can see in the photos, the 2015 Dodge Charger Pursuit bears a revised front fascia, new hood, different headlights with daytime running lights, new rear bumper and much more. 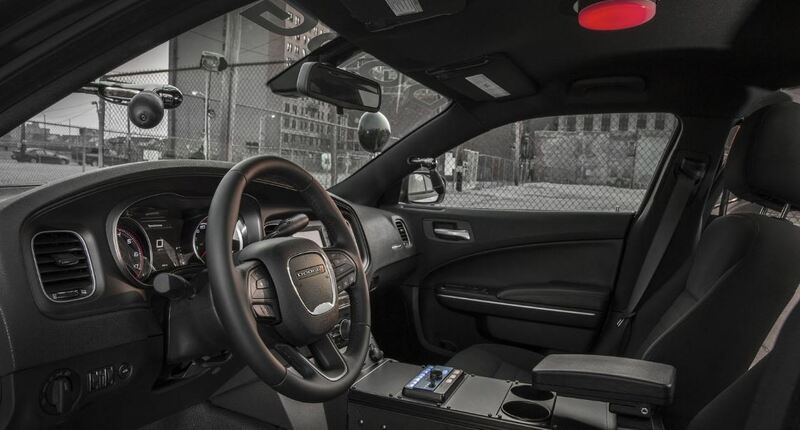 Inside the hot 2015 Dodge Charger Pursuit, the cabin is all wrapped with a lot of “hot pursuit gizmos”, like the Uconnect infotainment system, the 5-inch display or the front seats with the special belt-mounted gear. Under the hood, the 2015 Dodge Charger Pursuit comes equipped with the engines, like the 3.5-liter Pentastar V6, developing 292 horsepower and 352 Nm of torque. The second engine fitted under the hood of the Charger Pursuit is the famous 5.7-liter HEMI V8 unit, also seen on the SRT Hellcat, which outputs a total of 370 horsepower and 528 Nm of torque.